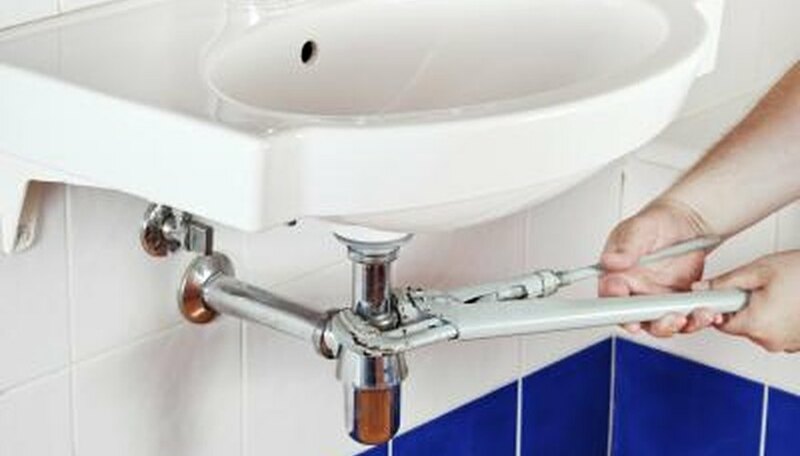 Drain pipes on a bathroom sink that become old, are clogged or start to leak may need to be repaired or replaced. 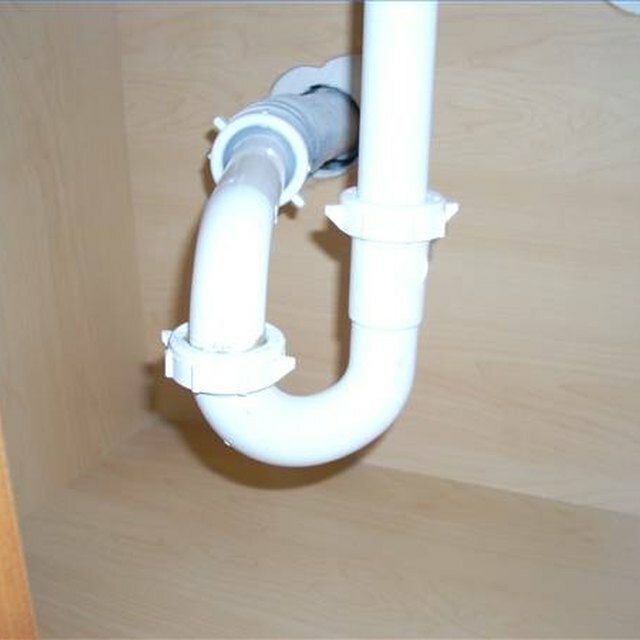 Most sink drain pipes use plastic or PVC piping that connects to the sink drain and the drain pipe coming out of the wall. 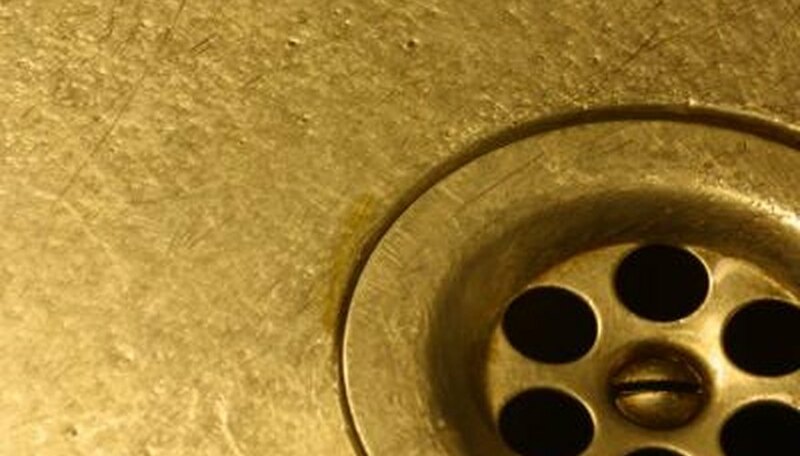 If your sink is not draining properly, the drain trap may need to be cleaned. 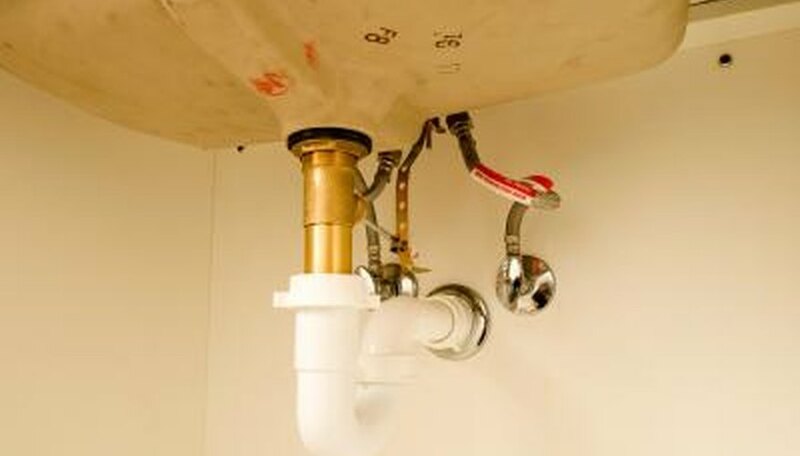 Drain pipes that are old or leaking will require installing new drain pipes under your bathroom sink. Remove the drain trap to see if it is clogged. Unscrew the fitting that connects the trap to the drain pipe coming down from the sink and the pipe coming out of the wall. Inspect the trap to see if there is any residue build-up or obstructions that are preventing water flow. 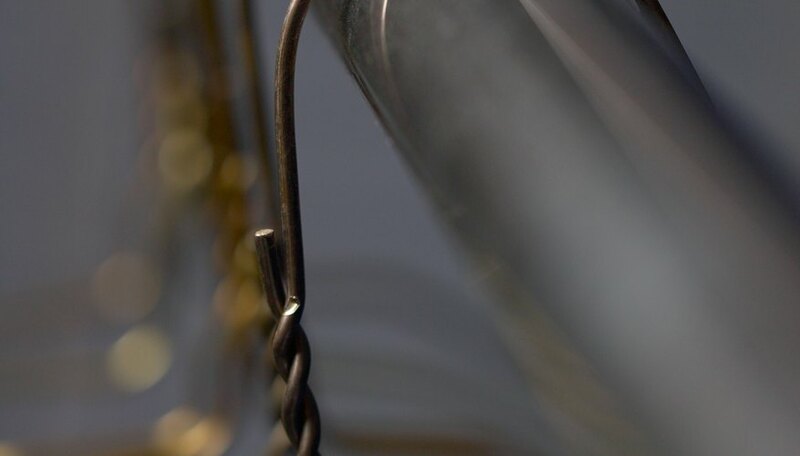 Clean the trap using a bent metal hanger and water. 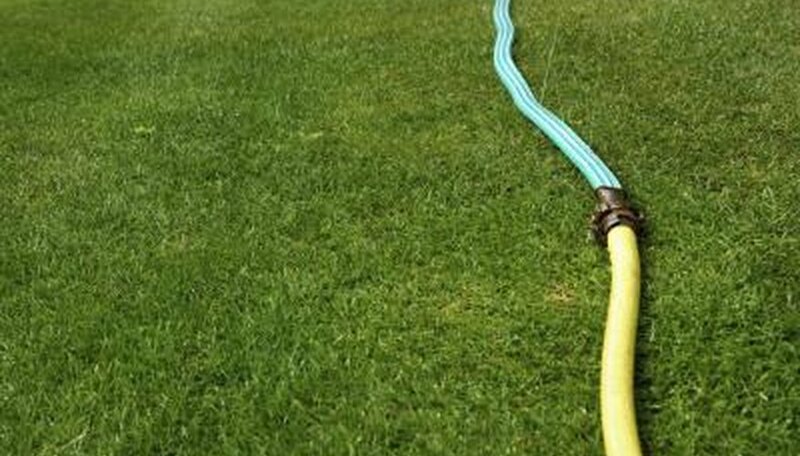 If you do not want to use another sink in your house, use a garden hose out in your yard. Scrape the trap with the metal hanger until all of the residue has been loosened and rinse it out with water. Reattach the cleaned trap to the drain pipes under the sink. Tighten the fitting to the drain pipe coming down from the sink and the pipe coming out of the wall. Disconnect the drain trap from the pipe that comes down from the sink and the pipe coming out of the wall. Loosen the fitting by turning it to the left with your hand or use an adjustable wrench. Remove the drain pipe that is coming down from the sink. There will be a similar fitting that needs to be loosened by hand or with the adjustable wrench. 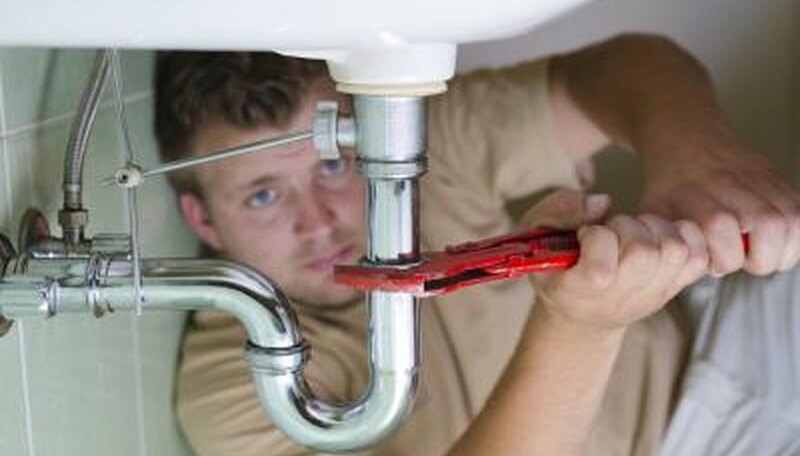 Attach the new drain pipe to the sink and secure the fitting by hand until it is sufficiently tight. Attach the trap to the pipe coming out of the wall and tighten the fitting by hand until it is secure. Turn on the water to see if the water is draining properly and there are no leaks. PVC piping can be purchased at any home improvement store. Connect the new piping in the order in which you removed the old pipe. The drain trap will contain water that can spill when the trap is removed.